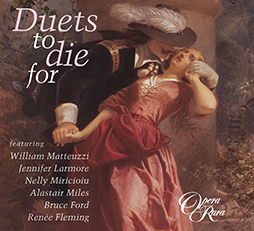 Duets to Die For presents a collection of 15 irresistible duets taken from our most popular operas and recital items. 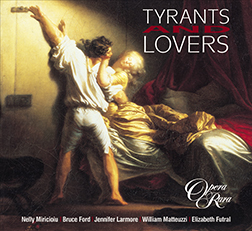 Following on from Opera Rara’s immensely successful Donizetti Divas, Duets to Die For presents a collection of 15 irresistible duets taken from our most popular operas and recital items. 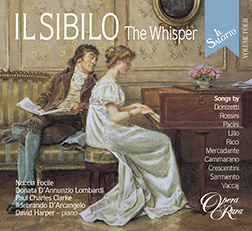 These wonderful examples of the bel canto school have been placed in chronological order, enabling you to observe the changes in duet writing between 1801 and 1846 and to follow the growth of Romantic Opera in Italy. In addition to focusing on the vocal writing and challenges set by the composers, the programme is presented in the form of a well-ordered concert, to be played for the pleasure of hearing some of the best singers in this repertoire, well-blended voices communicating a vast range of emotions! 03 Hoango, Act II: Duet: Come potro resistere? 08 Bianca e Falliero, Act I: Ciel! Qual destin terribile! 11 Rosmonda, Act I: Perche non ho del vento?